Some landlords are stingy when it comes to returning the security deposit you gave when you moved into your rental. In our contemporary economy, it is important to get back every nickel you forked over whenever possible. Follow these useful tips and ensure you get your cash back. Tidy up basics. Moving out of a rental can be rather stressful. There are so many details to consider that you may not be thinking about getting your security deposit back. Simply sweeping, mopping and wiping the walls down will rarely suffice when it comes to pleasing your landlord. Be sure to clean the refrigerator, stove, and wipe down those cabinets and cupboards. If you have pets, be sure to steam clean the carpets. Damage versus wear and tear. Some tenants remain in their rentals for extended periods of time. Naturally, normal wear and tear will occur over the course of time and your landlord is aware of this. Faded paint, nicks on the walls here and there, and minor stains are sure to be present when you’re moving out. Your landlord should not expect the place to be as sweet as it was the day you moved in. Nevertheless, if there is substantial damage, you have two choices: repair the damage yourself or outsource it to a reliable handyman. In the end, if there is substantial damage, it’s best to weigh your outlay expenses against your security deposit. Restore the premises. If you sought permission to paint the interior walls from your landlord, you’ll have no problem in this area unless they are chipped and need repainting. However, any projects you did to make your rental your home may well cost you your security deposit. To avoid this, restore your changes back to the original condition. Patch any holes you made in walls, ensure the yard is in good order, and avoid leaving behind any trash, junk or other items your landlord will have to pay to tote away. Know your legal rights. Most tenants sign a contract when moving into their rental. Dig that boring rascal out and read the details regarding security deposits. 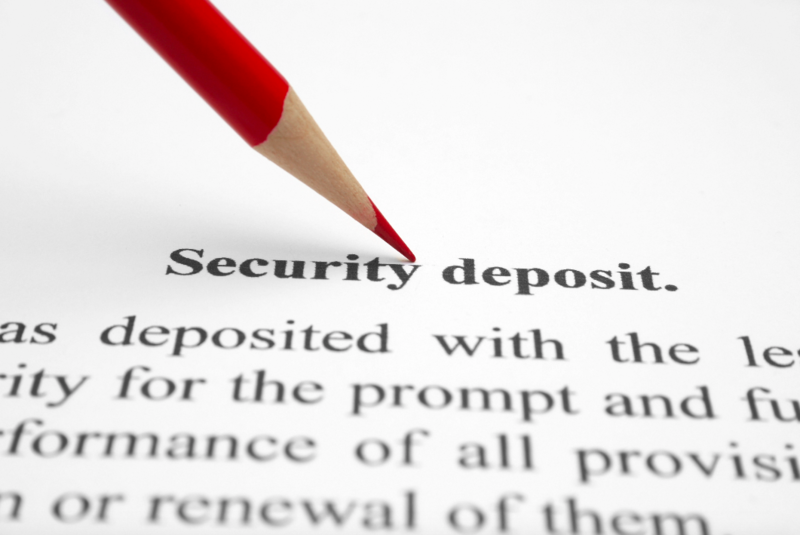 If you have complied, your landlord must return your security deposit when you move out. Of course, the place will be inspected so be sure to tag along with your landlord and refute any nit-picking details they may use to refuse you your security deposit. It is against the law in nearly every state for a landlord not to return your security deposit without a reasonable explanation. If they do not comply, do not hesitate to contact state agencies that handle tenant rights, agencies that mediate tenant/landlord complaints, or look for local resources for proper legal assistance. Negotiate with your landlord. If you and your landlord disagree on any aspect that prevents you from getting your full security deposit back, or even a portion of it, do not hesitate to negotiate. Not every landlord may be willing to do this, but most are reasonable enough to agree on an amount to deduct from your deposit dependent on the alleged or real damages. One of the best ways to ensure you receive your full security deposit back is to take photos of the rental when you move in and save them for future reference in the event of a dispute. In addition, be sure to inform your landlord of any damages you did not incur after you move in so they are not held against you when you move out.